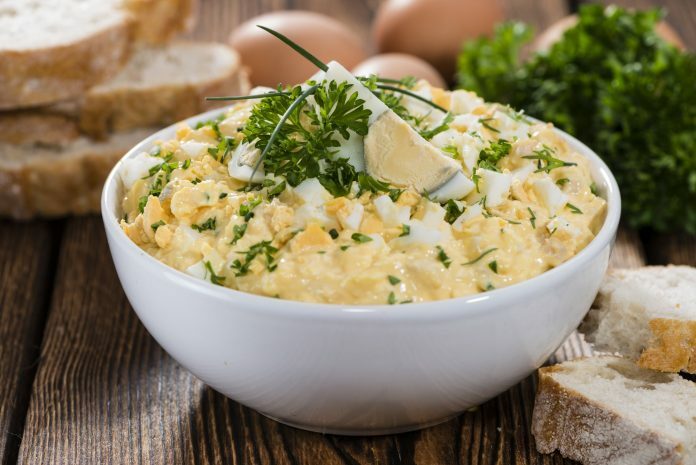 This easy egg salad would make a great appetizer. Scoop it on to a lettuce leaf for a healthy wrap idea or use it as a spread on crackers. The possibilities are endless. To make the egg salad, being by peeling and chopping the eggs. Next, add the remaining ingredients and mix well. You can add more sour cream and Dijon if desired. For a more personalized touched you can add bacon, shredded cheese, guacamole or anything else that suits your fancy. Sprinkle with paprika and some sliced green onions or cilantro for a little Christmas flair. Previous articleTop 5 Natural Flu Busters!